Member of Parliament (MP) for Tema East and Deputy Minister for Transport, Daniel Titus Glover, says he is tired of Greater Accra Regional Minister, Ishmael Ashitey’s interference in the affairs of the constituency. 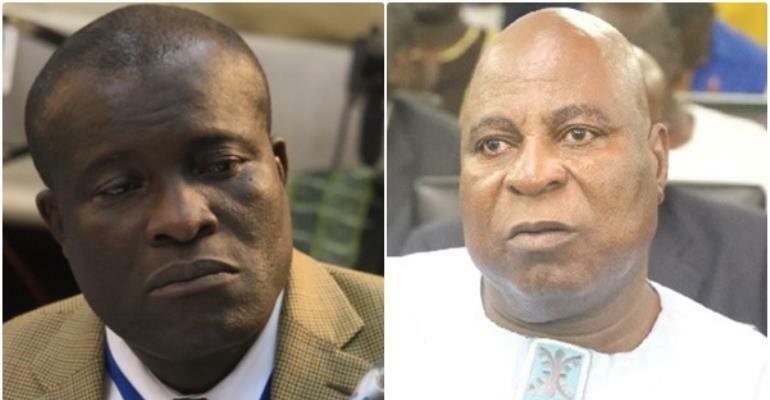 Mr. Glover accused Mr. Ashitey of intruding into the affairs of the New Patriotic Party (NPP) in the Tema East Constituency and creating confusion among members. Mr. Glover said this on Tuesday after the Tema High Court dismissed an injunction application against the NPP’s elections in the constituency. He alleged that the Minister was doing everything he could to get his nephew Benjamin Ashitey elected as MP for the area. Benjamin Ashitey contested the party's parliamentary primaries ahead of the general elections in 2016 but lost to Mr Glover who was then the incumbent. He questioned why the Regional Minister could not distance himself from the constituency’s internal affairs, adding that he had had his chance to oversee the area for 12 years when he was the MP. “I am tired of him, I struggled to win this seat for this party, I started with three votes now I am on 4,025, I moved President Akufo-Addo from negative 1,500 from 2012 in the constituency and he now won 6,000 more against former President Mahama”, he emphasized. He further stated that he had risen through the party’s ranks to become an MP, therefore, it was unfortunate that the Regional Minister wanted his nephew who defected from the National Democratic Congress (NDC) to jump to the top without first serving at the grassroots. Mr. Glover added that the behaviour of the Minister was not only an affront to him, but would also affect their family ties as they were third cousins. The Deputy Transport Minister cautioned the Regional Minister to put a stop to his interferences as failure to do so may strain their relationship even further.